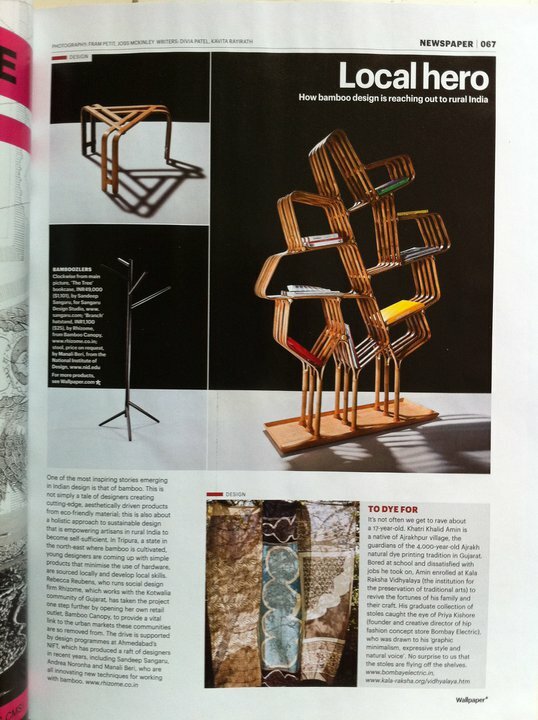 This month, el’bo – the bamboo stool got featured in the Wallpaper magazine. I am quite thrilled to see the product reach an international magazine. But what a pity, the authorities have not sent me a single apology for having credited my work to someone else. They did put things in order on their website (http://www.wallpaper.com/gallery/interiors/how-bamboo-design-is-reaching-out-to-rural-india/17052438/44314#44314), but is that enough? I wonder if i want to fight for my right to be acknowledged for the product i spent almost a year, or is it really not that big a deal. For now, i am still waiting for the concerned person to reply to my mail for 14 days now.